Asymmetric Anarkalis,Sharraras,with golden borders fashionably drapped over encrusted kurtas were a picture of grandeur. the colour story was a profusion of fuchsia, emerald and blue along with dusty gold to recreate the glory of the regal era. 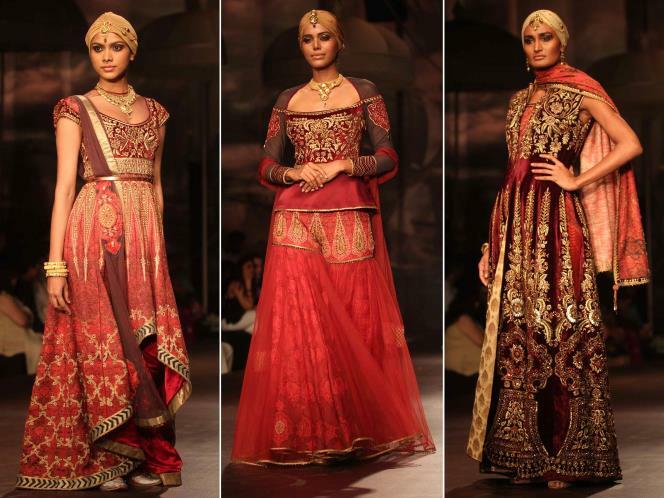 The white and gold ethnic creations in Mulmul and dull gold were breathtaking.